Metastatic renal cell carcinoma is a complex cancer for which several drugs have been developed over the years. More recently, drugs that target the specific cancer cell mutations have been developed for metastatic cell carcinoma. However, even with the recent influx of targeted therapy options, significant unmet needs exist in around half of treated renal cell carcinoma patients following the failure of first-line therapy. The aim of this study was to review the health technology appraisals of renal cell carcinoma treatments in several countries to establish what factors might affect the reimbursement decisions. The reimbursement data for 10 drugs in several countries were collated from the health technology assessment bodies for each country. The data included information on clinical trials used in the submission documents for the health technology assessment, the reimbursement decisions and the reasons for those decisions, as well as any specific restrictions for use of any of the included drugs. Of the 10 drugs reviewed, only everolimus received a positive reimbursement decision by all the health technology assessment bodies included in the study. The most common reason for a negative reimbursement decision was lack of demonstration of cost-effectiveness of the drugs. Another frequently cited reason was unproven clinical efficacy and poor impact on overall survival. Despite the many treatment guidelines and current treatment options that are available for renal cell carcinoma, there remains an unmet need in patients with metastatic renal cell carcinoma. On the basis of this analysis, the key reason for a drug not obtaining a positive reimbursement decision is due to poor efficacy or uncertainty of the drug’s efficacy. To view enhanced digital features for this article go to https://doi.org/10.6084/m9.figshare.7901441. This research and associated article processing charges were sponsored by Eisai, Inc. All authors had full access to all of the data in this study and take complete responsibility for the integrity of the data and accuracy of the data analysis. Medical writing services, provided by Carina Schey from Global Market Access Solutions, were funded by Eisai. Carina Schey was involved in the data extraction and analysis and drafted the manuscript. All authors approved the final manuscript. Carina Schey was contracted and paid by Eisai to conduct the research. Genevieve Meier is an employee of Eisai. Janice Pan is an employee of Eisai. There are no other relevant competing or conflicts of interests from any of the authors. This article does not contain any studies with human participants or animals performed by any of the authors; therefore ethics approval was not required. Ljungberg B, Bensalah K, Bex A, et al. Guidelines on renal cell carcinoma. 2014. https://uroweb.org/wp-content/uploads/10-Renal-Cell-Carcinoma_LR.pdf. Accessed Nov 2017. Cancer Research Institute. Immunotherapy for kidney cancer. 2017. https://www.cancerresearch.org/we-are-cri/home/cancer-types/kidney-cancer. Accessed Nov 2017. National Cancer Institute. SEER stat fact sheets: kidney and renal pelvis cancer. 2015. https://seer.cancer.gov/statfacts/html/kidrp.html. Accessed Nov 2017. Campbell MT, Jonasch E. Updates in the systemic treatment of patients with metastatic renal cell carcinoma. https://gucasym.org/daily-news/updates-systemic-treatmentpatients-metastatic-renal-cell-carcinoma. Accessed Nov 2017. National Comprehensive Cancer Network. NCCN clinical practice guidelines in oncology—kidney cancer. 2017. https://www.ncbi.nlm.nih.gov/pmc/articles/PMC3308682/. Accessed Nov 2017. Canadian Agency for Drugs and Technology (CADTH). https://www.cadth.ca/. Haute Autorité de Santé (HAS). https://www.has-sante.fr/portail/. Accessed Nov 2017. Gemeinsamer Bundesausschuss (G-BA). https://www.g-ba.de/. Accessed Nov 2017. Institute for Quality and Efficiency in Health Care (IQWiG). https://www.iqwig.de/en/home.2724.html. Accessed Nov 2017. Tandvårds- och läkemedelsförmånsverket (TLV). https://www.tlv.se/in-english/in-english/. Accessed Nov 2017. Scottish Medicines Consortium (SMC). https://www.scottishmedicines.org.uk/. Accessed Nov 2017. NICE TA178. Bevacizumab (first-line), sorafenib (firstand second-line), sunitinib (second-line) and temsirolimus (first-line) for the treatment of advanced and/or metastatic renal cell carcinoma. 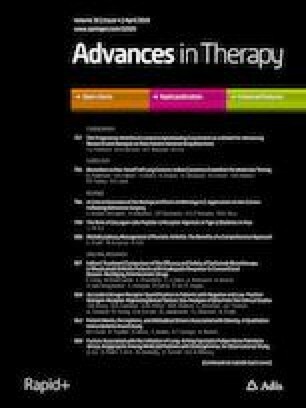 2009. https://www.nice.org.uk/guidance/ta178/resources/bevacizumab-firstline-sorafenib-first-and-secondline-sunitinib-secondline-and-temsirolimus-firstline-for-the-treatment-of-advanced-andor-metastatic-renal-cell-carcinoma-pdf-82598442394309. Accessed Nov 2017. Therapeutic Goods Administration. AusPAR Attachment 1: Product Information for Bevacizumab. 2017. https://search.tga.gov.au/s/search.html?collection=tga-websites-web&query=bevacizumab+renal+cell. Accessed Nov 2017. Roche Ltd. Availability of new, innovative and specialist cancer drugs in Australia - Submission to the Senate Community Affairs References Committee 2015. http://www.roche-australia.com/content/dam/roche_australia/en_AU/policy/2015-02%20Senate%20Inquiry.pdf. Accessed Nov 2017. Haute Autorité de Santé. Transparency Commission: Proleukin. 2014. http://www.has-sante.fr/portail/upload/docs/application/pdf/2015-10/proleukin_version_anglaise_ct13702.pdf. Accessed Nov 2017. PBAC. Public Summary Document: Sunitinib. 2008. http://www.pbs.gov.au/industry/listing/elements/pbac-meetings/psd/2008-07/Sunitinib__Final_PSD_7-9_Pfizer.pdf;jsessionid=kon95ccgxtmk11uqjsi8cvyly/. Accessed Nov 2017. NICE TA169. Sunitinib for the first-line treatment of advanced and/or metastatic renal cell carcinoma. 2009. https://www.nice.org.uk/guidance/ta169. Accessed Nov 2017. G-BA. Beschluss des Gemeinsamen Bundesausschusses über die Einleitung eines Stellungnahmeverfahrens zur Änderung der Arzneimittel-Richtlinie (AM-RL): Anlage XI - Besondere Arzneimittel Besondere Arzneimittel nach § 73d SGB V bei der Behandlung des metastasierten und/oder fortgeschrittenen Nierenzellkarzinoms: Bevacizumab, Sorafenib, Sunitinib, Temsirolimus. 2009. https://www.g-ba.de/downloads/39-261-879/2009-09-17-AMR13-SN-Nierenzellkarzinom.pdf. Accessed Nov 2017. SMC. sunitinib 12.5mg, 25mg, 50mg capsules (Sutent). 2007. https://www.scottishmedicines.org.uk/SMC_Advice/Advice/384_07_sunitinib_capsules__Sutent_/sunitinib_12.5mg__25mg__50mg_capsules__Sutent_. CADTH. CEDAC Final recommendation on reconsideration and reasons for recommendation-sunitinib maleate-sutent re-submission. 2007. https://www.cadth.ca/sites/default/files/cdr/complete/cdr_complete_Sutent_e_April-26-2007%20.pdf. Accessed Nov 2017. PBS. Sorafenib, tablet, 200 mg (as tosylate), Nexavar®. 2012. http://www.pbs.gov.au/info/industry/listing/elements/pbac-meetings/psd/2012-11/sorafenib. Accessed Nov 2017. CADTH. CEDAC Final Recommendation on Reconsideration and Reasons for Recommendation - Sorafenib (Nexavar). 2007. https://www.cadth.ca/sites/default/files/cdr/complete/cdr_complete_Nexavar_Fe-28-07.pdf. Accessed Nov 2017. SMC. Sorafenib 200mg tablets (Nexavar) No.321/06). 2006. https://www.scottishmedicines.org.uk/files/sorafenib_200mg_tablets_Nexavar_321_06.pdf. Accessed Nov 2017. PBS. Temsirolimus, injection set containing 1 vial of powder for IV infusion 25 mg and 1 vial diluent, Torisel®. 2008. http://www.pbs.gov.au/info/industry/listing/elements/pbac-meetings/psd/2008-07/pbac-psd-temsirolimus-july08. Accessed Nov 2017. HAS. Transparency Committee: TORISEL (CIP: 571 783-7). 2008. https://www.has-sante.fr/portail/upload/docs/application/pdf/2010-12/torisel_ct_5270.pdf. Accessed Nov 2017. PBS. EVEROLIMUS, tablets, 5 mg and 10 mg, Afinitor®, Novartis Pharmaceuticals Australia Pty Ltd. 2014. http://www.pbs.gov.au/info/industry/listing/elements/pbac-meetings/psd/2014-03/everolimus-rcc. HAS. Transparency Committee: AFINITOR (everolimus). 2010. http://www.has-sante.fr/portail/upload/docs/application/pdf/2010-12/afinitor_ct_7009.pdf. Accessed Nov 2017. G-BA. Beschluss des Gemeinsamen Bundesausschusses über die Einleitung eines Stellungnahmeverfahrens zur Änderung der Arzneimittel-Richtlinie (AM-RL): Anlage XI—Besondere Arzneimittel Besondere Arzneimittel nach § 73d SGB V bei der Behandlung des metastasierten und/oder fortgeschrittenen Nierenzellkarzinoms: Everolimus. 2009. https://www.g-ba.de/downloads/39-261-1054/2009-12-17-AMR11-SN-Everolimus.pdf. Accessed Nov 2017. SMC. Re-Submission: everolimus 2.5 mg, 5 mg and 10 mg tablets (Afinitor®) SMC No. (595/10) 2014. https://www.scottishmedicines.org.uk/files/advice/everolimus_Afintor_Resubmission_FINAL_Oct_2014_Updated_30.10.14_for_website.pdf. Accessed Nov 2017. TLV. SAKEN Ansökan inom läkemedelsförmånerna. BESLUT. Afinitor. 2010. https://www.tlv.se/upload/beslut_2010/bes100907-afinitor.pdf. Accessed Nov 2017. NICE TA432. Everolimus for advanced renal cell carcinoma after previous treatment. 2017. https://www.nice.org.uk/guidance/ta432. Accessed Nov 2017. CADTH. Drugs reviewed under the Joint Oncology Drug Review Process from 2007 to 2011. 2014. https://www.cadth.ca/sites/default/files/pcodr/pcodr-ijodr-drugs-provfund.pdf. Accessed Nov 2017. Pan-Canadian Oncology Drug Review. pCODR Expert Review Committee (pERC)-Final Recommendation-Pazopanib in metastatic renal cell carcinoma. 2013. https://www.cadth.ca/sites/default/files/pcodr/pcodr-votrientmrccre-fn-rec.pdf. Accessed Nov 2017. NICE TA215. Pazopanib for the first-line treatment of advanced renal cell carcinoma. 2013. https://www.nice.org.uk/guidance/ta215. Accessed Nov 2017. HAS. Commission de la Transparence - Votrient. 2015. http://www.has-sante.fr/portail/upload/docs/evamed/CT-13937_VOTRIENT_PIC_REEV_AvisPostAud_CT13937.pdf. Accessed Nov 2017. TLV. Beslut-Votrient. 2013. http://www.tlv.se/Upload/Beslut_2013/bes131212-votrient.pdf. Accessed Nov 2017. SMC. Pazopanib 200 mg, 400 mg film-coated tablets (Votrient®) SMC No.(676/11). 2011. https://www.scottishmedicines.org.uk/files/advice/pazopanib_Votrient_FINAL_February_2011.doc_for_website.pdf. Accessed Nov 2017. PBS. Pazopanib, tablet, 200 mg and 400 mg (as hydrochloride), Votrient®—March 2012. 2012. http://www.pbs.gov.au/info/industry/listing/elements/pbac-meetings/psd/2012-03/pazopanib. Accessed 30 June 2017. Pan-Canadian Oncology Drug Review. pCODR Expert Review Committee (pERC) Final recommendation-axitinib. 2013. https://www.cadth.ca/sites/default/files/pcodr/pcodr-inlytamrcc-fn-rec.pdf. Accessed Nov 2017. NICE TA333. Axitinib for treating advanced renal cell carcinoma after failure of prior systemic treatment. 2015. https://www.nice.org.uk/guidance/ta333. Accessed Nov 2017. HAS. Commission de la Transparence - INLYTA. 2013. http://www.has-sante.fr/portail/upload/docs/evamed/CT-12556_INLYTA%20Ins%20Avis%202_CT%2012556.pdf. Accessed Nov 2017. IQWiG. Axitinib – Benefit assessment according to § 35a Social Code Book V1. 2012. https://www.iqwig.de/download/A12-14_Axitinib_Extract_of_dossier_assessment.pdf. Accessed Nov 2017. TLV. Inlyta ingår i högkostnadsskyddet. 2013. https://www.tlv.se/beslut/beslut-lakemedel/generell-subvention/inlyta-ingar-i-hogkostnadsskyddet/. Accessed Nov 2017. SMC. Axitinib (Inlyta). 2013. https://www.scottishmedicines.org.uk/SMC_Advice/Advice/855_13_axitinib_Inlyta/axitinib_Inlyta_Resubmission. Accessed Nov 2017. PBS. Axitinib, tablet, 1 mg and 5 mg, Inlyta® - Nov 2013. 2013. http://www.pbs.gov.au/info/industry/listing/elements/pbac-meetings/psd/2013-11/axitinib. Accessed Nov 2017. PBAC. AXITINIB tablets, 1 mg & 5 mg; Inlyta®; Pfizer Australia Pty Ltd. 2014. http://www.pbs.gov.au/industry/listing/elements/pbac-meetings/psd/2014-11/files/axitinib-psd-11-2014.pdf. Accessed Nov 2017.
pCODR. pan-Canadian Oncology Drug Review. Final economic guidance report. Nivolumab (Opdivo) for metastatic renal cell carcinoma. 2016. https://www.cadth.ca/sites/default/files/pcodr/pcodr_nivolumab_opdivo_mrcc_fn_egr.pdf. Accessed Nov 2017. NICE TA417. Nivolumab for previously treated advanced renal cell carcinoma. 2016. https://www.nice.org.uk/guidance/ta417/chapter/4-Committee-discussion#clinical-effectiveness. Accessed Nov 2017. HAS. Commission de la Transparence. Avis: nivolumab. 2016. http://www.has-sante.fr/portail/upload/docs/evamed/CT-15277_OPDIVO_cancer_rein_PIC_INS_Avis2_CT15277.pdf. Accessed Nov 2017. IQWiG. IQWiG Reports—Commission No. A16-24. Nivolumab (renal cell carcinoma)-benefit assessment according to §35a Social Code Book V1. 2016. https://www.iqwig.de/download/A16-24_Nivolumab_Extract-of-dossier-assessment.pdf. Accessed Nov 2017. PBAC. Nov 2016 PBAC outcomes—subsequent decisions not to recommend. 2016. https://engonetuf.blob.core.windows.net/assets/uploads/files/subsequent-decisions-not-to-recommend-2016-11.pdf. Accessed Nov 2017. SMC. Nivolumab (Opdivo). 2017. https://www.scottishmedicines.org.uk/SMC_Advice/Advice/1188_16_nivolumab_Opdivo_for_renal_cell_carcinoma/nivolumab_Opdivo_Resubmission. Accessed Nov 2017. HAS. Commission de la Transparence: Cabozantinib. 2017. http://www.has-sante.fr/portail/upload/docs/evamed/CT-15738_CABOMETYX_PIC_INS_AvisPostObs_CT15738.pdf. Accessed Nov 2017. IQWiG. [A16-69] Cabozantinib (renal cell carcinoma)—benefit assessment according to §35a Social Code Book V. 2016. https://www.iqwig.de/en/projects-results/projects/drug-assessment/a16-69-cabozantinib-renal-cell-carcinoma-benefit-assessment-according-to-35a-social-code-book-v.7687.html. Accessed Nov 2017. Fund CD. https://www.england.nhs.uk/cancer/cdf/. Accessed Nov 2017.